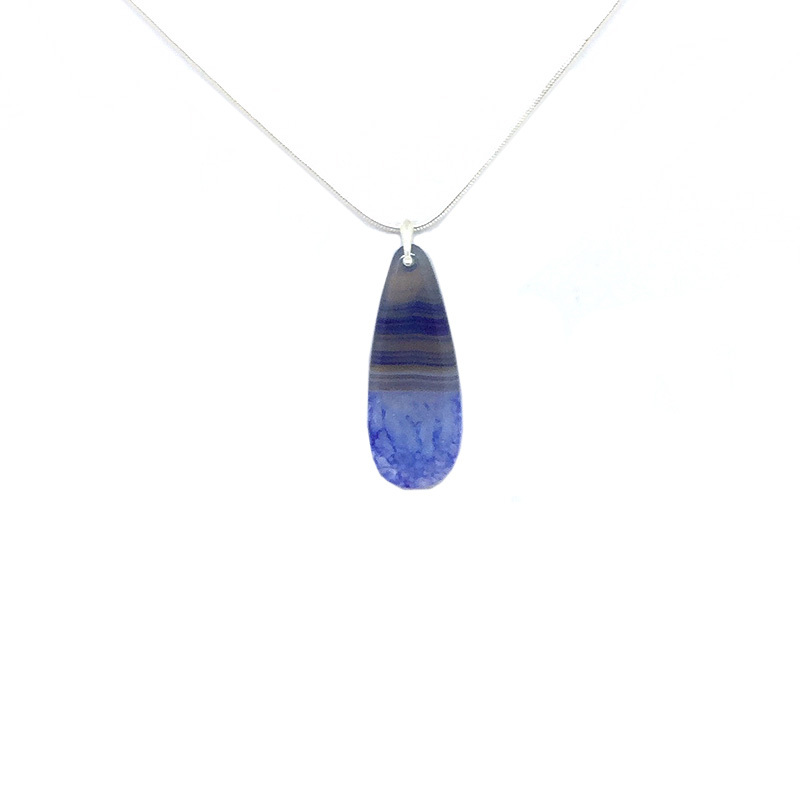 A stylish and unique sterling silver blue agate pendant that has been lovingly handcrafted in our studio as part of our Back to Nature and 925 Silver jewellery collections. It features a stunning clear white and blue patterned agate gemstone – and makes a great gift! This gorgeous gemstone pendant measures approximately 18″ and is finished off with a quality sterling silver snake chain and bail. A stylish and unique sterling silver blue agate pendant that has been lovingly handcrafted in our studio as part of our Back to Nature and 925 Silver jewellery collections. It features a stunning clear white and blue patterned agate gemstone – and makes a great gift! This gorgeous gemstone pendant measures approximately 18″ and is finished off with a quality sterling silver snake chain and bail. The agate gemstone measures approximately 2″. Different chain lengths are available upon request – please contact us.